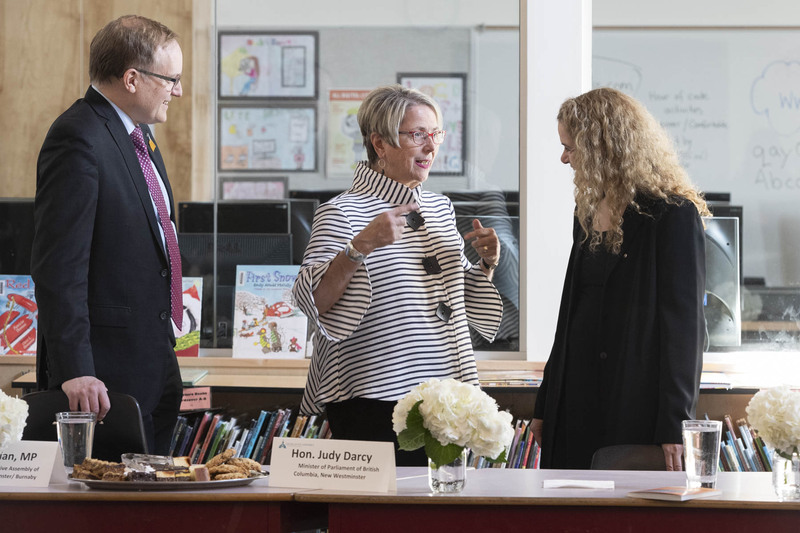 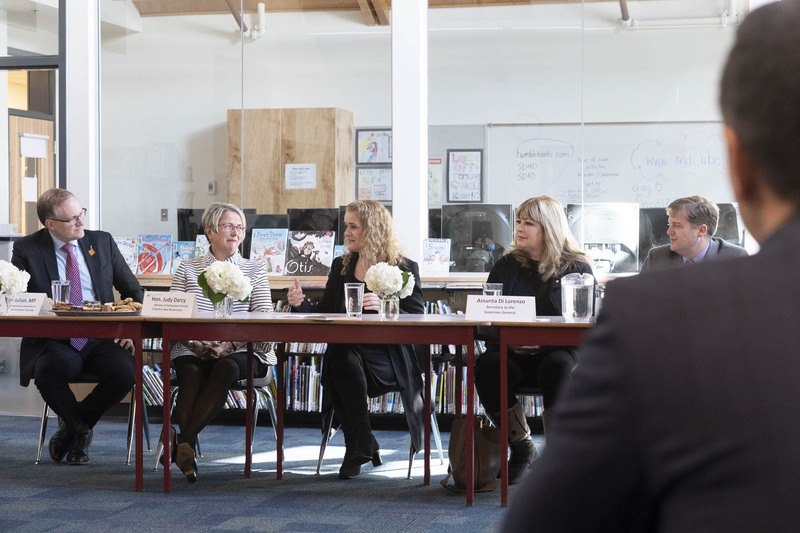 In New Westminster, Her Excellency learned about the school board’s Fuel Up! 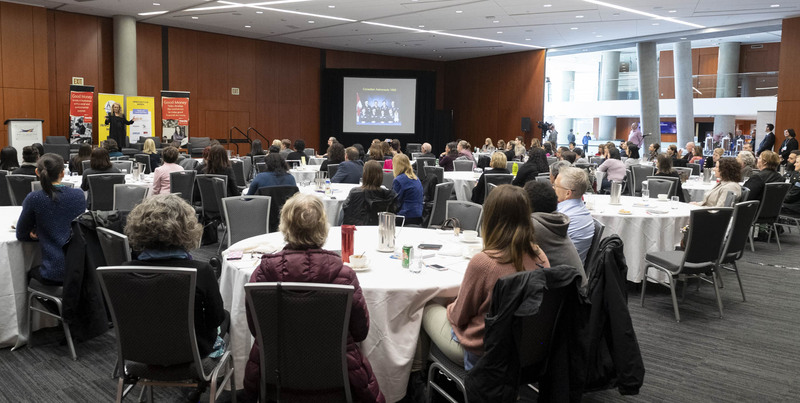 lunch program and spoke at the Women in STEAM Symposium. 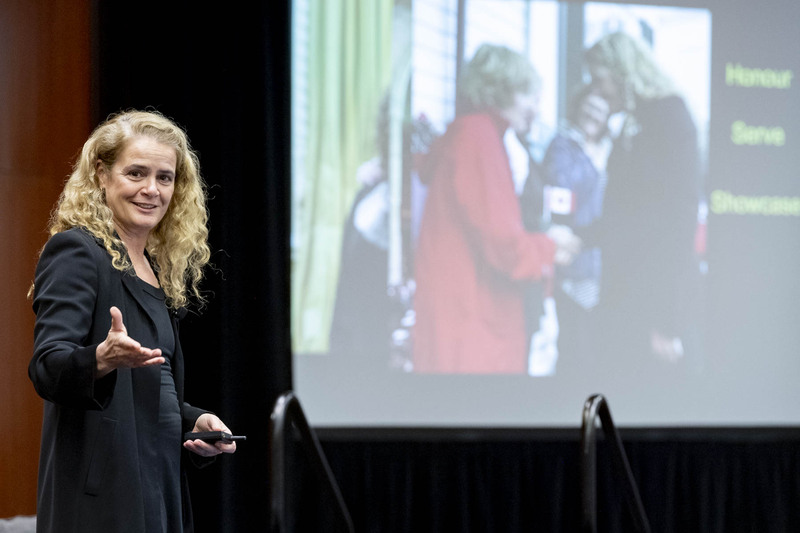 [En direct] L'ingéniosité et la créativité vont de pair quand il s'agit de progrès scientifique. 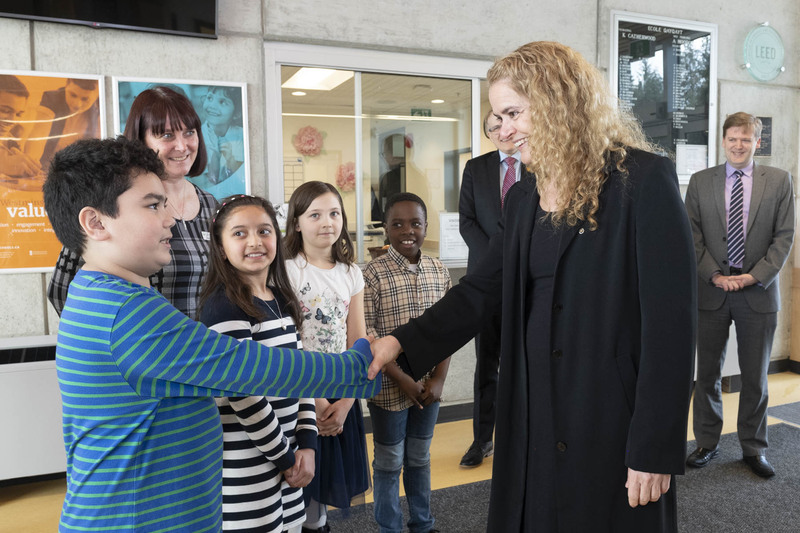 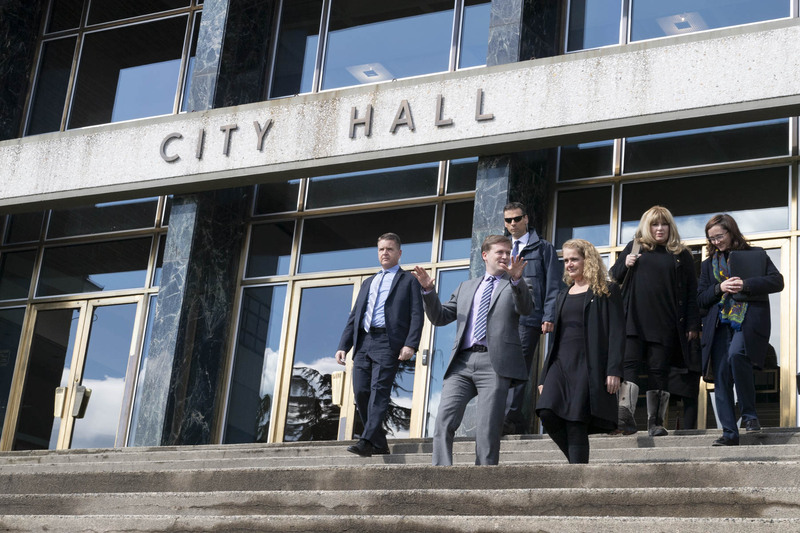 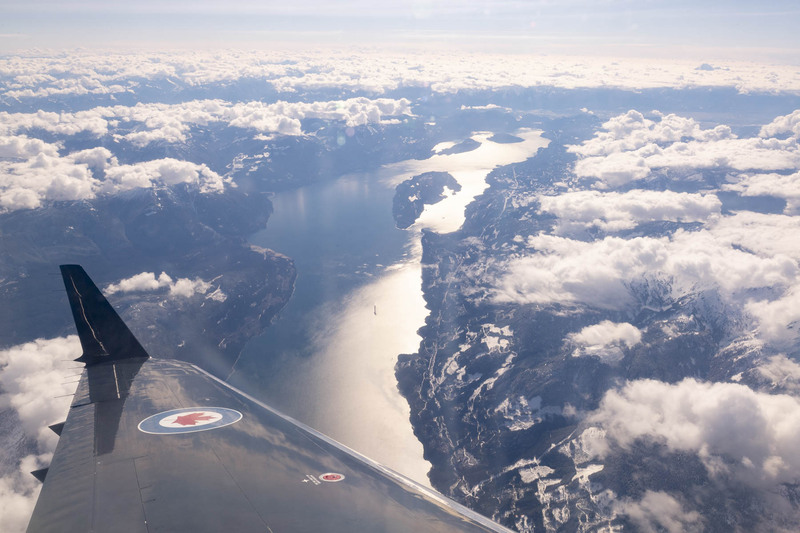 The Governor General started a four day visit in British Columbia in Vancouver. 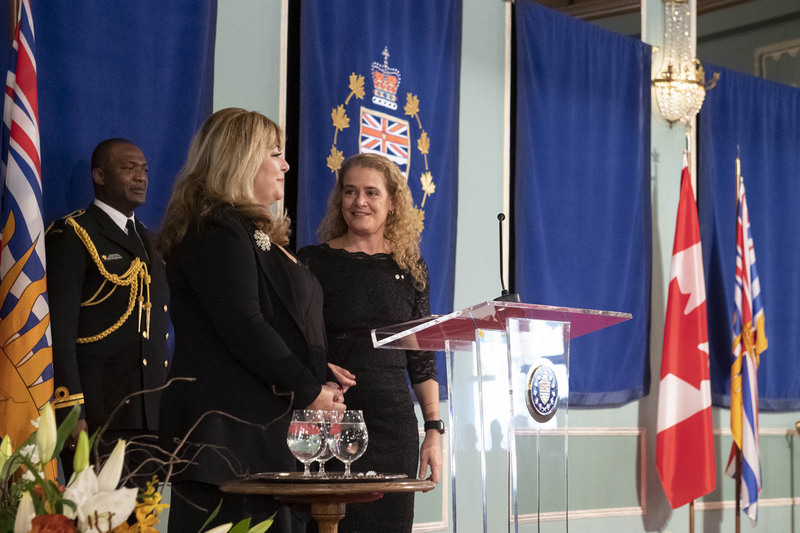 The Governor General met with His Worship Jonathan Coté, Mayor of New Westminster. 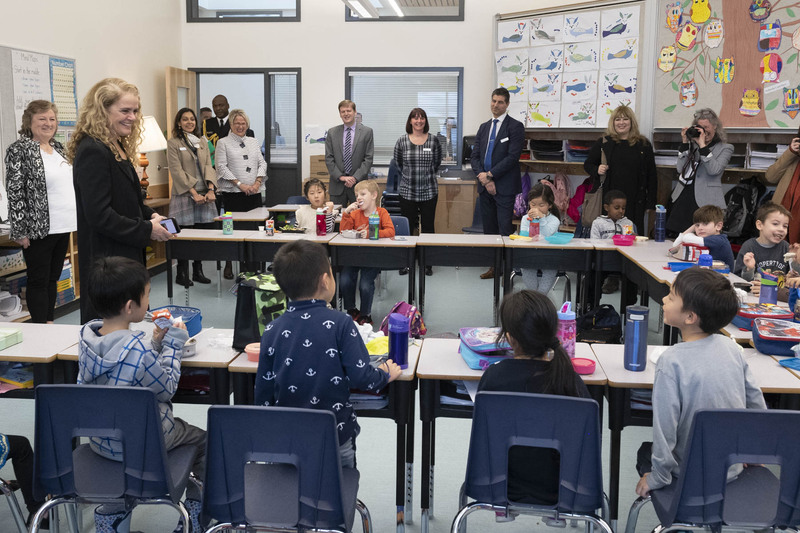 The Governor General visited École Qayqayt Elementary to learn about their cost-shared lunch program called Fuel Up! 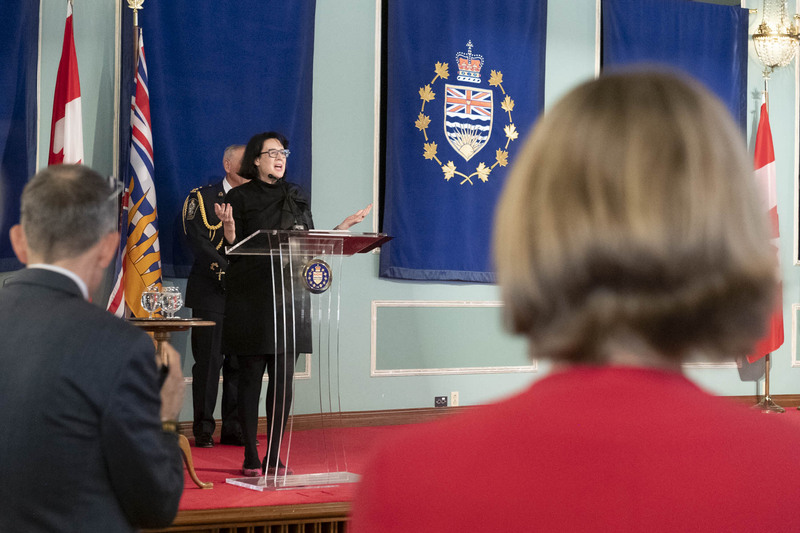 Her Excellency delivered an address at the New Westminster’s Annual Innovation Week Women in STEAM Symposium. 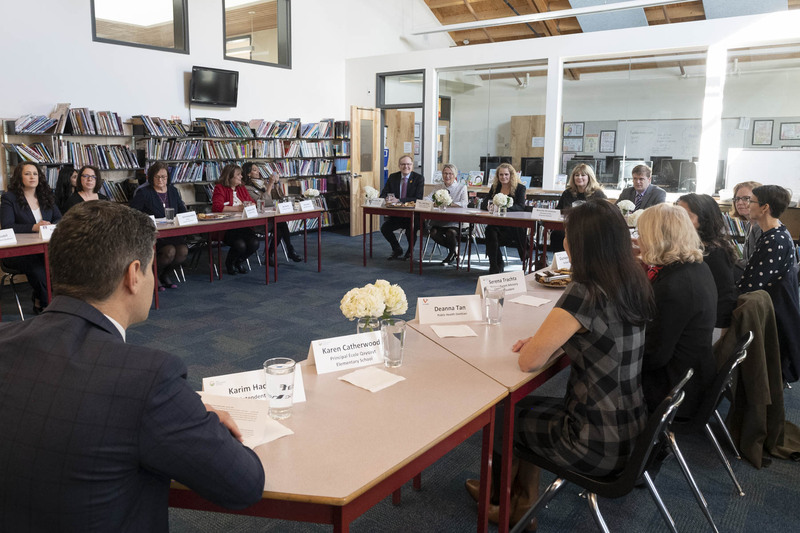 She also heard about the incredible work being done at the Circle of Eagles Lodge Society in Vancouver and at COCO Café in Nanaimo. 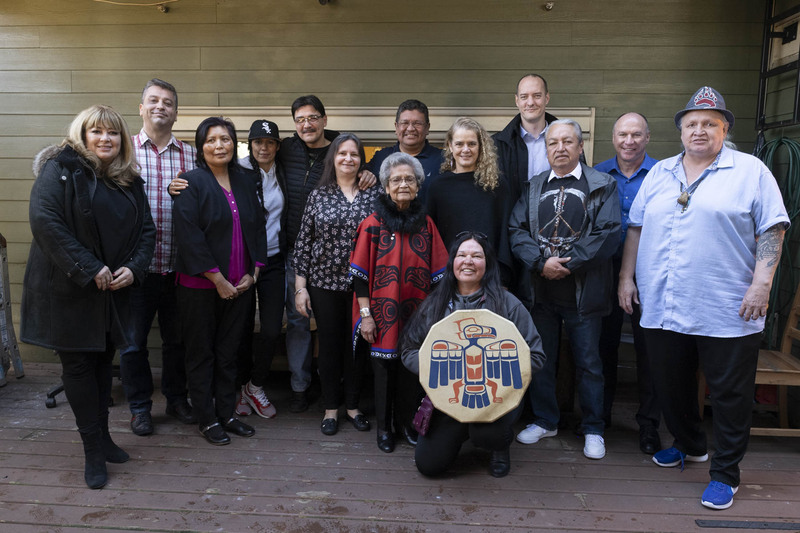 The Governor General visited the Circle of Eagles Lodge Society where she will learned about how this organization is helping Indigenous people re-integrate into the community after having been released from institutions. 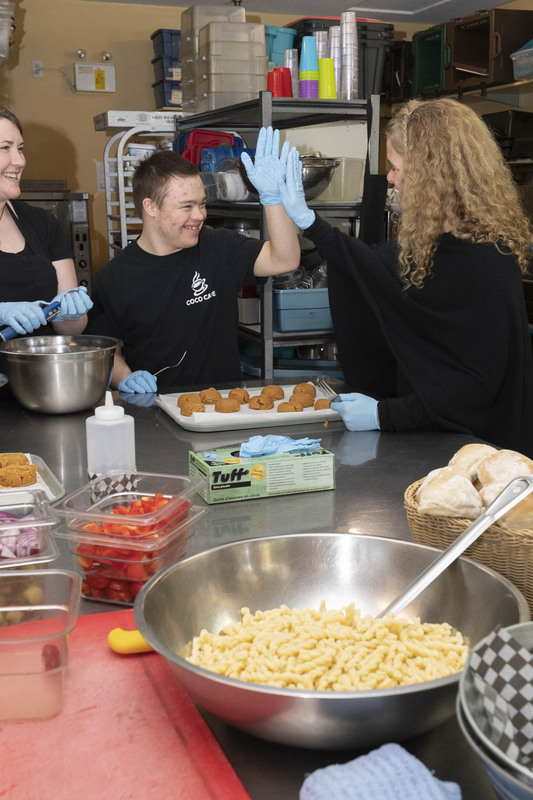 The Governor General visited COCO Café, a local co-op, to speak with employees about how the work training program has empowered them and provided them with life skills. 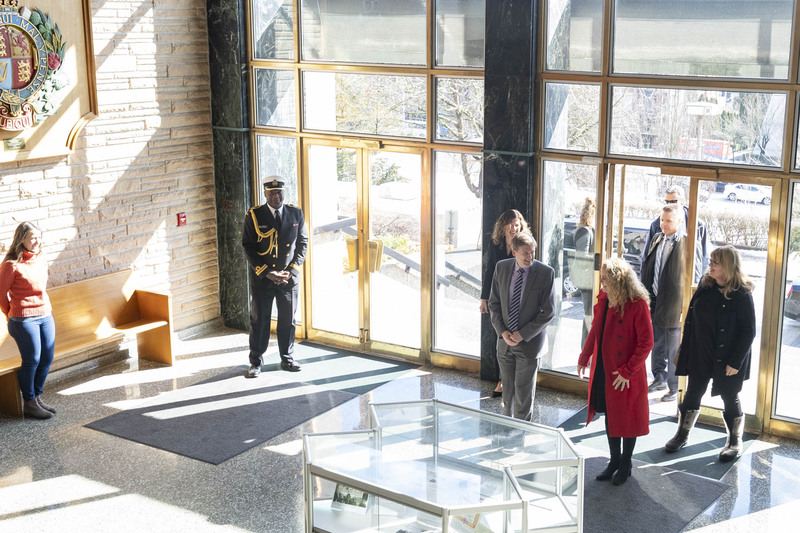 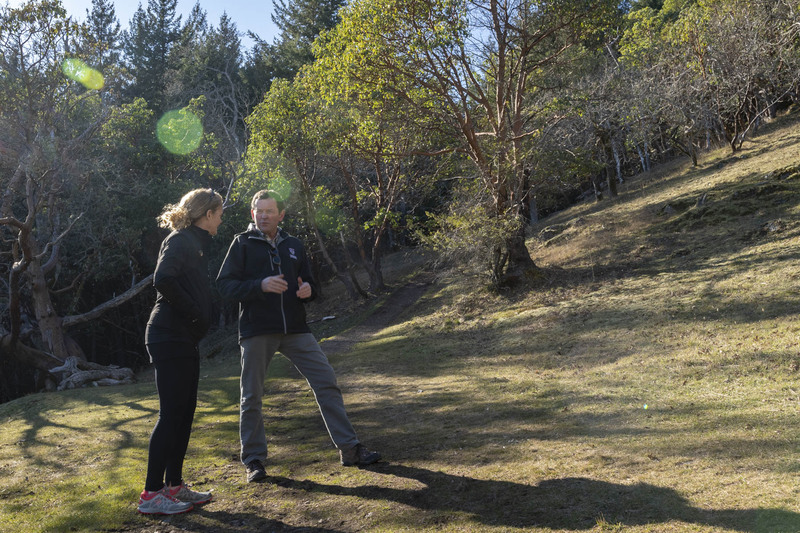 The Governor General and Jamie Cassels, President of the University of Victoria, met for a hike to discuss the university`s new initiatives. 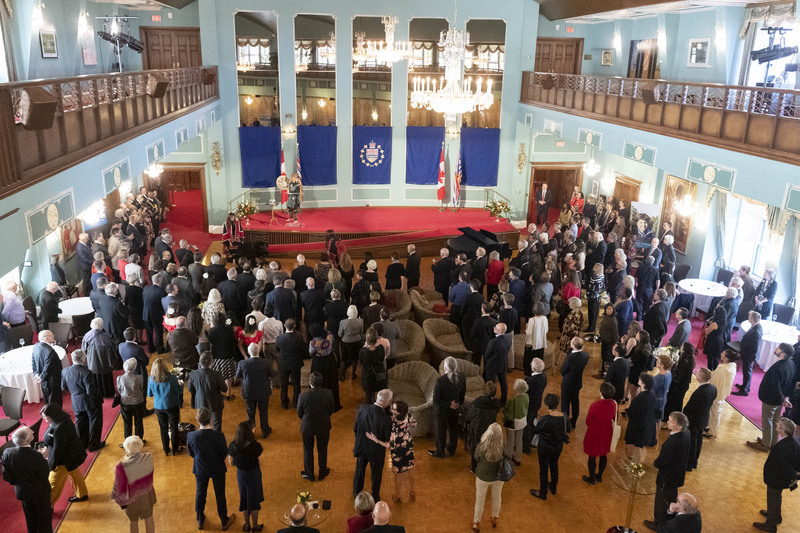 Upon her arrival at Government House, the Governor General was welcomed by Her Honour the Honourable Janet Austin, Lieutenant Governor of British Columbia. 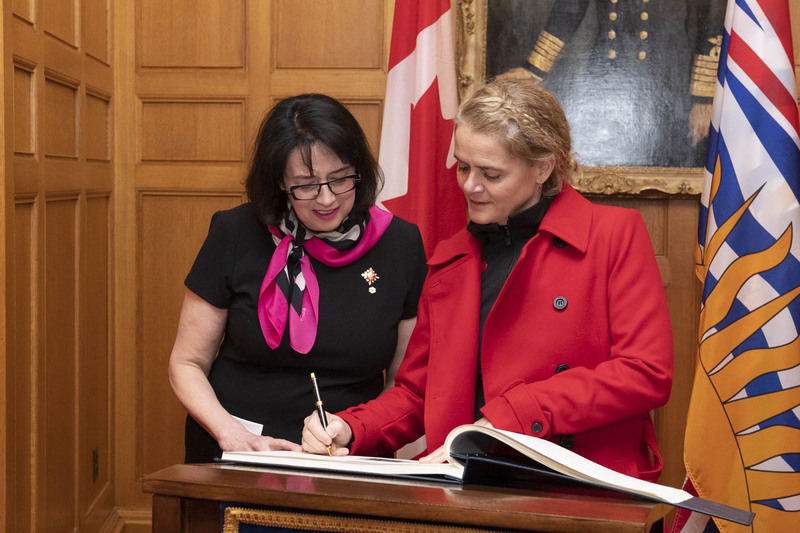 Her Excellency also signed the guest book. 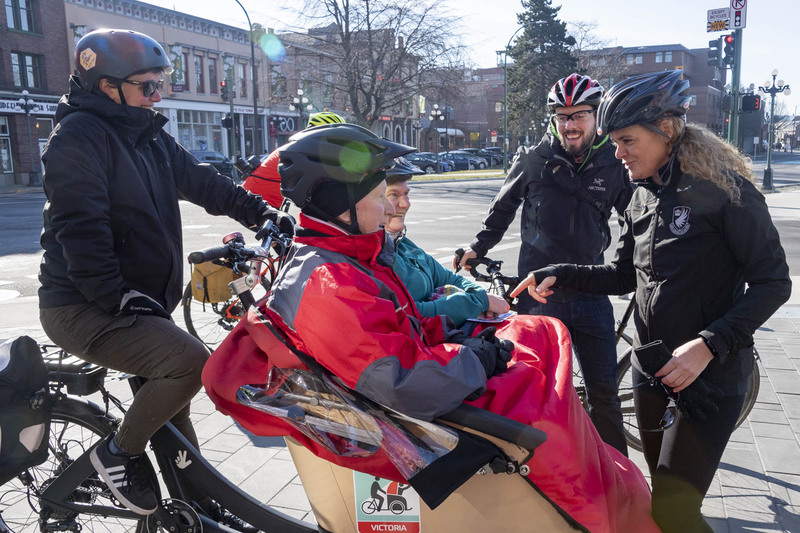 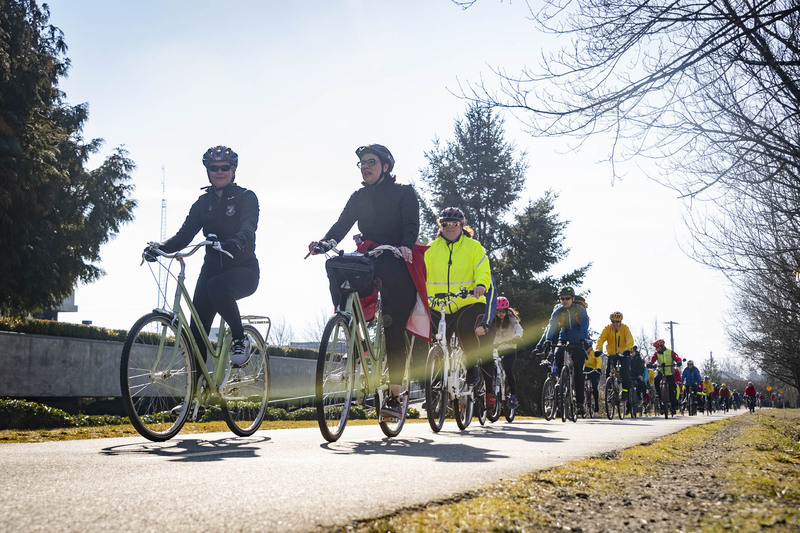 In Victoria, the Governor General promoted health and fitness by participating in a bike ride with members of the Greater Victoria Bike to Work Society. 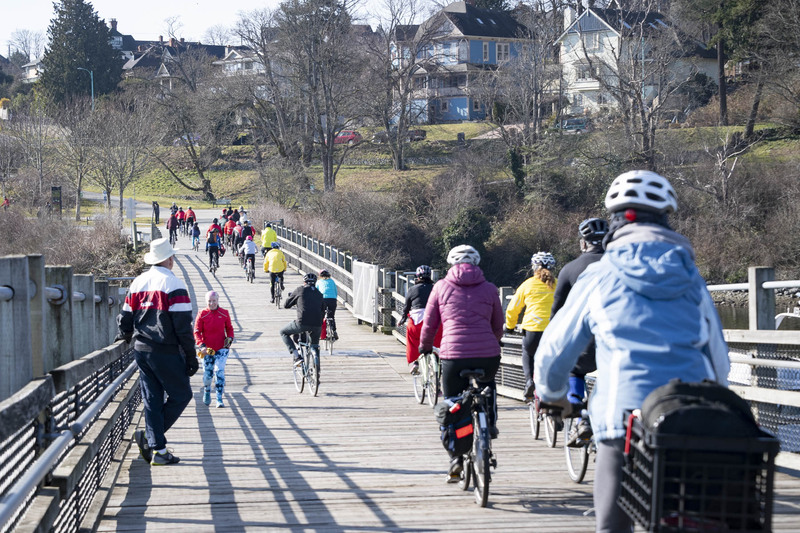 The Governor General joined members of the Greater Victoria Bike to Work Society on a bike ride along a portion of the Trans Canada Trail. 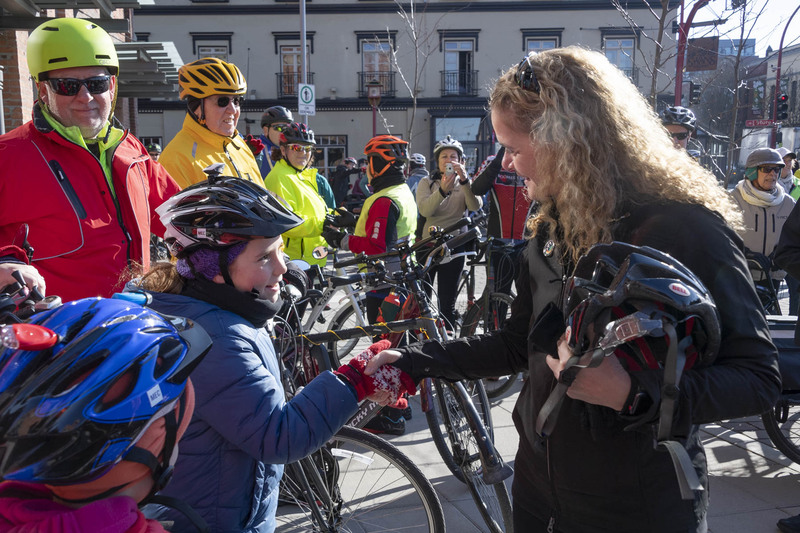 This activity is part of the Governor General’s initiative, GGActive, which aims to promote health and fitness. 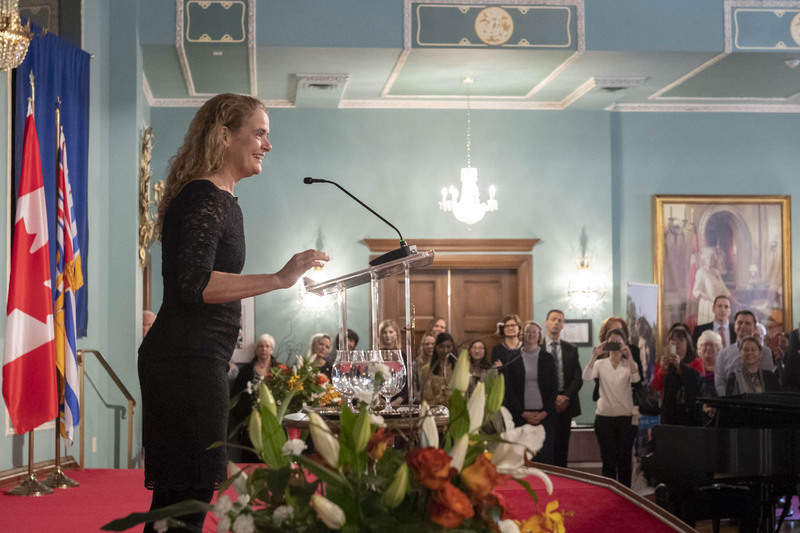 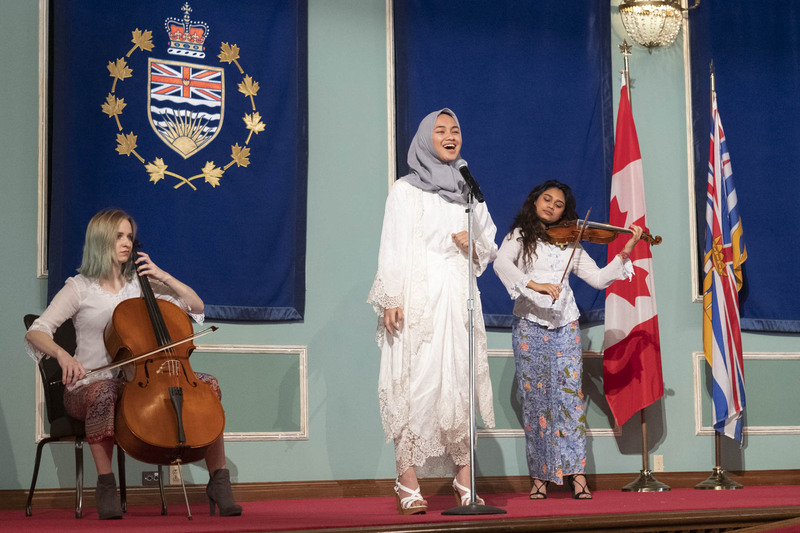 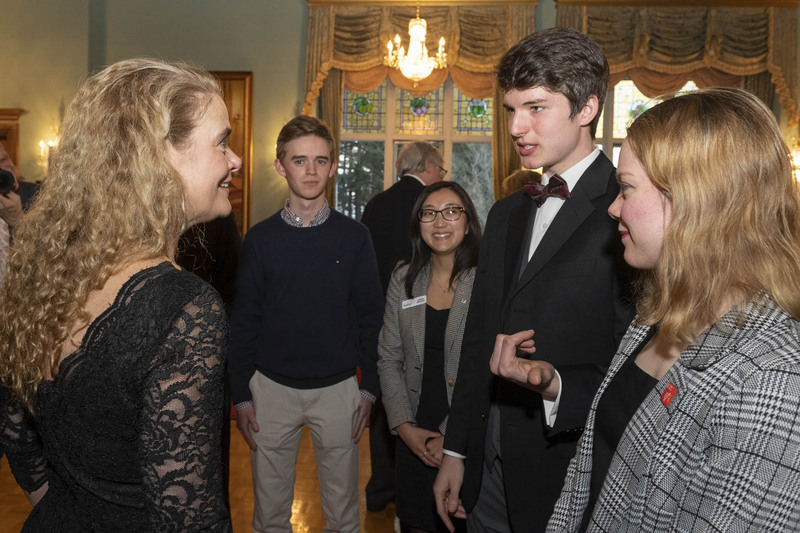 The Governor General attended a reception with members of United World Colleges’ International Council. 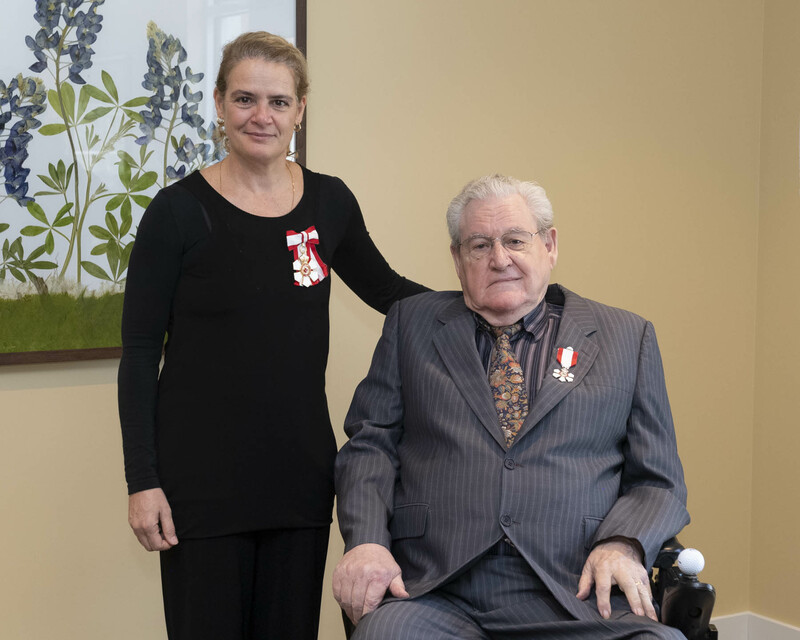 Her Excellency presented the insignia of Member of the Order of Canada to the Honourable Roger Philip Kerans. 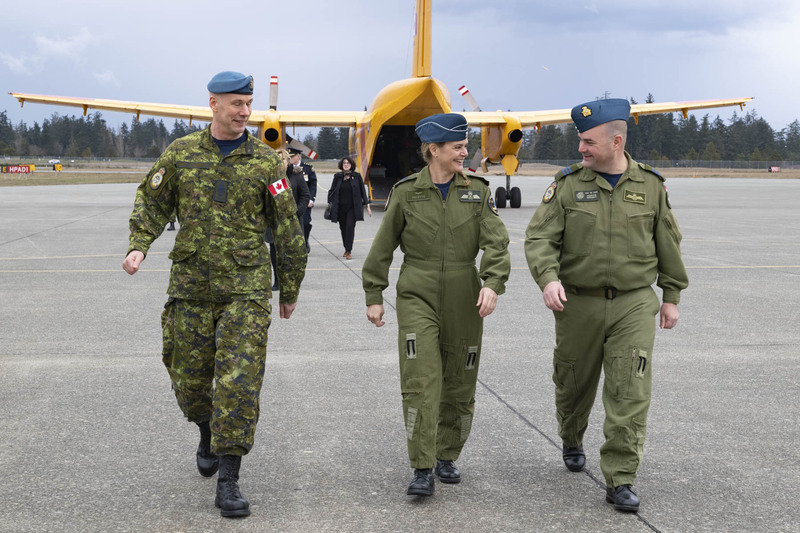 The Governor General also visited with Canadian Armed Forces (CAF) members at 19 Wing Comox. 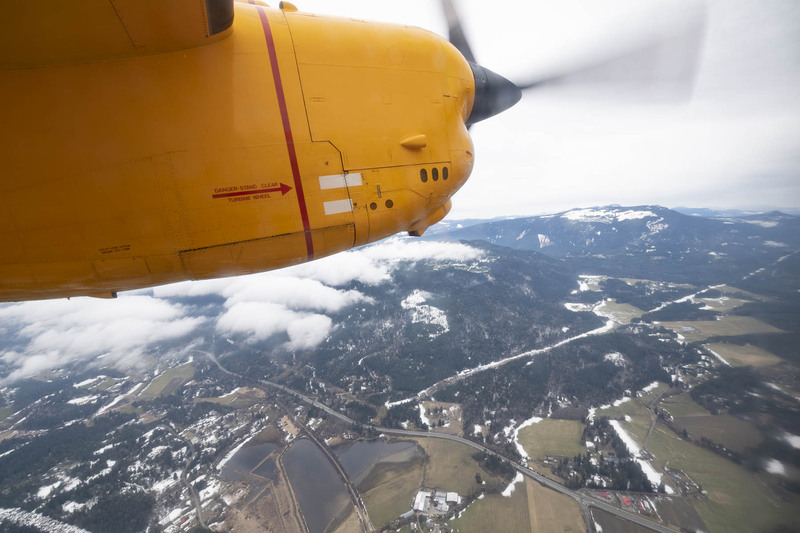 À bord d'un avion CC-115 Buffalo du 442e Escadron au-dessus de l'île de #Vancouver, #ColombieBritannique. 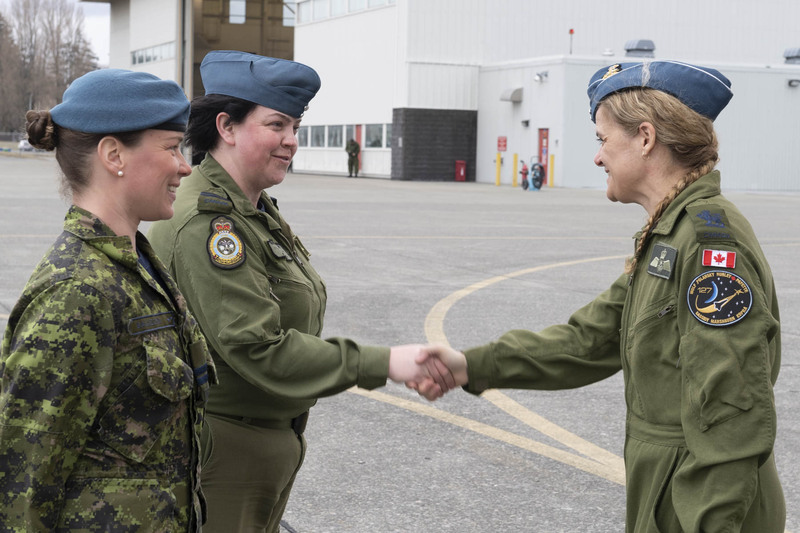 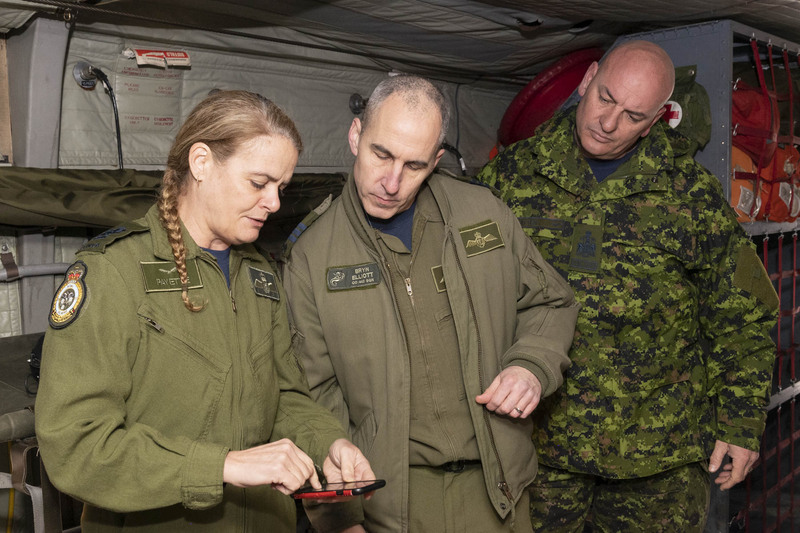 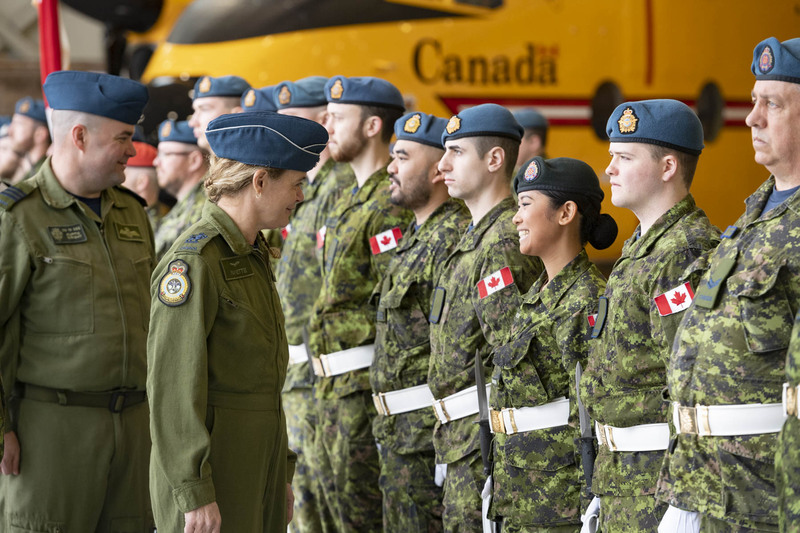 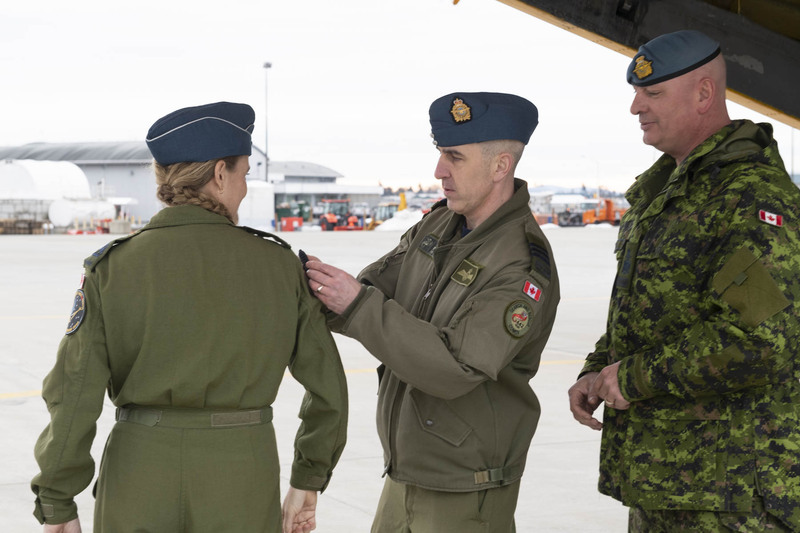 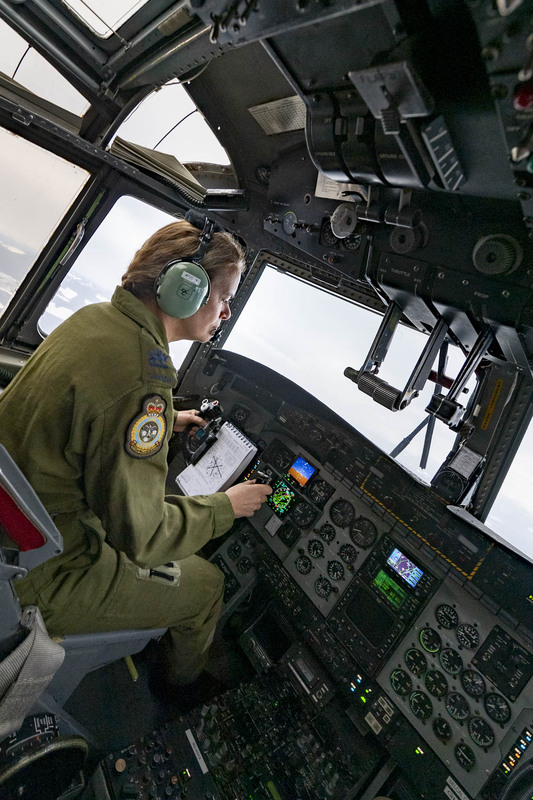 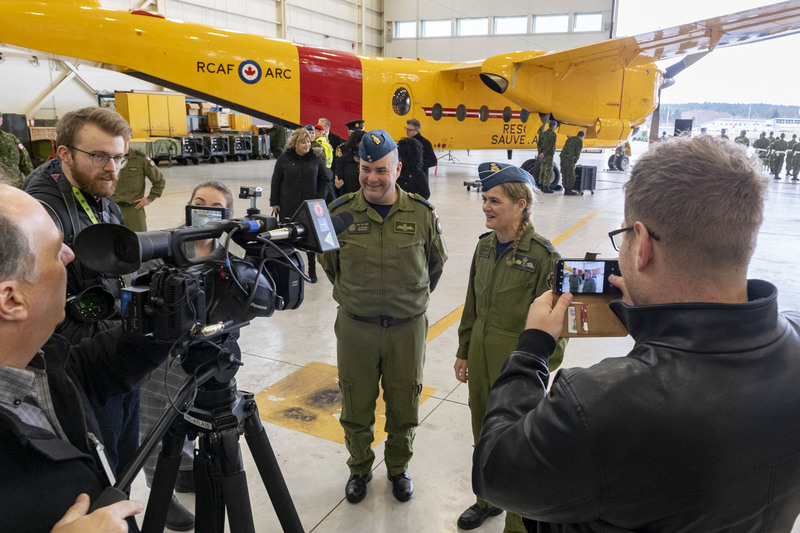 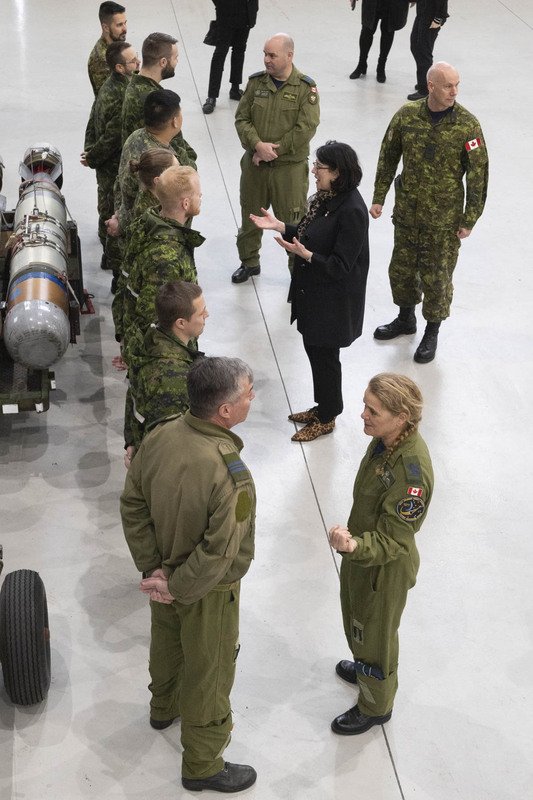 The Governor General and Commander-in-Chief of Canada visited with the military and civilian members of the defence team at 19 Wing and CFB Comox, located on Vancouver Island.